The Decatur Sculpture Tour (DST) is getting underway, and the DST Committee has welcomed the first exhibit for the 2018 gallery (located on Court Street). Harley is a life sized white rhino made of stock Harley Davidson mufflers. Every motorcycle leaves the Harley Davidson factory with an exhaust system complying with federal noise laws but there isn’t a bike on the road with that exhaust system on it. This crazy situation creates chrome art supplies for me. 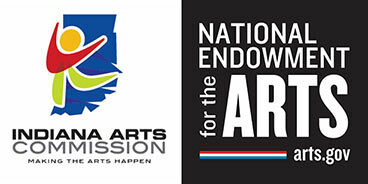 In less than a month, the DST will welcome nearly 20 artists in from eight states. They will be at their exhibit to share what inspired them, what materials were used, and take questions. The DST Unveiling Festival is celebrating its seventh year of providing this artfully inspired event for our community. Bringing hundreds of tourist from this regain (and other states), this year, the 2108 DST gallery will impress and inspire the viewers. Though all tourists are welcomed to the DST Unveiling Festival (Friday, June 8, 6:00 pm), the Gallery will be open for 10 months to enjoy. June to mid-April will allow residents to bring their out-of-town guests and friends to walk the Second and Third street displays. Don’t forget to add the new Riverside Sculpture Park and the permanent exhibits on seventh street while you are here. Decatur Sculpture Tour (DST), ‘DST Sponsors’ Award is announced. ‘Daphne’, by artist: Greg Mendez, Fort Wayne (originally from Decatur), for the 2017-2018 Decatur Sculpture Tour (DST) Sponsors’ Award. Shown: ‘Daphne’, by artist: Greg Mendez, Fort Wayne, IN, 2017-2018 Decatur Sculpture Tour (DST) Sponsors’ Award. The insulted Cupid then prepared two arrows: one of gold and one of lead. He shot Apollo with the gold arrow, instilling in the god a passionate love for the Daphne. He shot Daphne with the lead arrow, instilling in her a hatred for Apollo. Apollo continually followed Daphne, begging her to stay, but Daphne continued to escape his advances. They were evenly matched in the race until Cupid intervened, helping Apollo catch up to Daphne. Seeing that Apollo was bound to reach her, she called upon her father, "Help me, Peneus! Open the earth to enclose me, or change my form, which has brought me into this danger! Let me be free of this man from this moment forward!" And with that, her father answered her plea, “a heavy numbness seized her limbs; her chest was surrounded by a thin bark, her hair changed into foliage, her forearms changed into branches; her foot, once swift, was embedded to the ground because of sluggish roots.” She was turned into a laurel tree. In spite of Daphne’s rejection, Apollo vowed to love her forever vowing to forever love the laurel tree that was once Daphne. Apollo used his powers of eternal youth and immortality to render Daphne forever green. For this reason, the leaves of the Bay laurel tree do not decay. As reported by Greg Mendez, DST committee member and participating artist, reported that this is a well deserved award for Gary's sculpture. He has somehow stepped it up each year to set a high standard for our display. Mayer added that these stories are why so many people should consider participating in a docent-led tour. Though the exhibits can be appreciated by the momentary viewing, it is when you hear the story of the artist that you begin to become entangled in the overall personality of the exhibit. The ‘DST Sponsor Choice Award’ is determined by the many sponsors of the DST. Those that sponsor bases, the unveiling event or the 10-monthe exhibit. 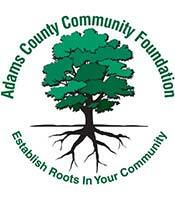 All sponsors are appreciated and the DST Committee encourages those who enjoyed the art gallery to thank a sponsor. Just as the ‘Daphne’ exhibit encourages the viewer to expand their view of art and materials that create art, Sue Roe, DST committee member and docent, reminds the community that each exhibit has an element of education. For docent-led tours, please contact the DST at: http://decatursculpturetour.com/ScheduleTour.aspx. Roe also invites the communities to the seventh annual, 2018 DST Unveiling Festival: Fri., June 9, 2018 at 6:00 pm in Decatur, Indiana. The talent of Greg Mendez and many other artists will be on display with new original sculptures. For a map and brochure of the 2017-2018 DST, please refer to the DST map boxes on the corner of the Courthouse Square or the new Founders Park. 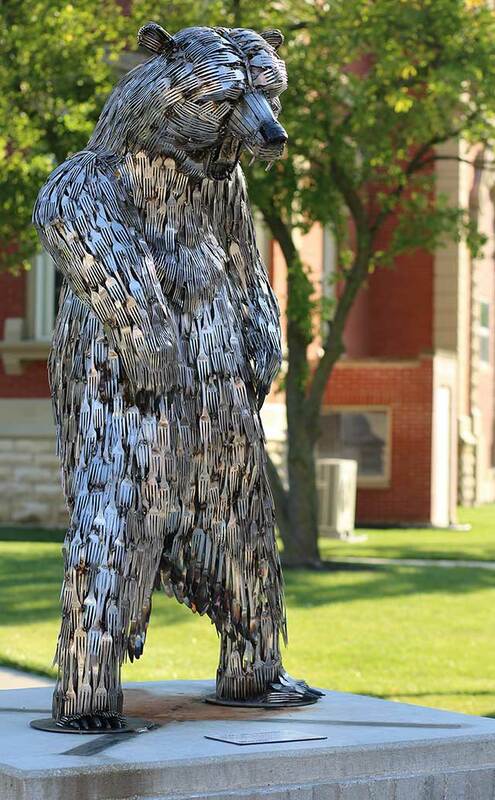 Shown: ‘Bear, Lee Standing’, Gary Hovey 2017-2018 Decatur Sculpture Tour (DST) ‘People’s Choice’ Award. Gary and Tonnie Hovey, New Knoxville, Ohio were recently contacted by the DST Committee recently to announce this award. Gary, who has been recognized with awards every year for his unique exhibits made of everyday flatware, reports that DST holds a special place in our hearts. The other sculptors have inspired me to make large pieces of public art like the bear and it has introduced us to a wonderful community where we have made great friends. "Although he looks ferocious, Lee loves to laugh. Meeting Lee in the woods would be a grizzly experience. He is a bear headed and bear foot, goes everywhere by bear back, and his favorite pastry is bear claws. There are as many bear puns as there are utensils in this piece. Make some of your own if you can. The People’s Choice award is determined by collecting votes from the many artists, tourists, visitors, and residents that have walked the DST 6th Annual tour. The ‘Peoples Choice’ recognition is notable as this reflects the decisions of the opinion of the young, old, artist-wise and artist-novice. It is simply ‘the public’s favorite’. Shown: ‘Hey, Mary Lou!’, Artists: Lee Leuning, Sherri Treeby, Aberdeen, SD were recently notified for this recognition, the 2017-2018 Decatur Sculpture Tour (DST) ‘Mayor’s Choice’ Award. 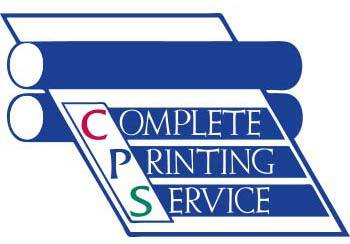 Lee Leuning, Sherri Treeby, Aberdeen, SD were recently contacted by the DST Committee to announce this award. Kelly Ehinger, DST Committee member invites the community to take a closer look at this exhibit. Note the shoes laces, the expressions, the wrinkles in the jerseys … Kelly reports, “I’m sure, you, too, will be impressed.” Ehinger also invites the community to the seventh annual, 2018 DST Unveiling Festival: Fri., June 9, 2018 at 6:00 pm in Decatur, Indiana. The talent of these and many other artists will be on display with new original sculptures. For a map and brochure of the2017-2018 DST, please refer to the DST map boxes on the corner of the Courthouse Square or the new Founders Park. Shown: ‘Dunes’, by artist: Dale Lewis, Hastings, MN, 2017-2018 Decatur Sculpture Tour (DST) ‘DST Committee’ Award. Dale Lewis, was recently contacted by the DST Committee to announce this award. Mendez also invites the communities to the seventh annual, 2018 DST Unveiling Festival: Fri., June 9, 2018 at 6:00 pm in Decatur, Indiana. The talent of Gary Hovey and many other artists will be on display with new original sculptures. Shown: ‘Genesis’, Nathaniel S. Pierce 2017-2018 Decatur Sculpture Tour (DST) Best of Show Award. The Best of Show award is one of the highest-ranking recognitions as it is determined by their peers. Nathan Pierce of Cape Girardeau, MO was recently contacted by the DST Committee to announce this prestigious award. Nathan, who travels to several art shows annually and was one of the top finalist for the commissioned piece for Ft Wayne Riverfront project remarked that this 2017-2018 DST Gallery was the best shows ever, and I was aware of a lot of heavy hitters this year. 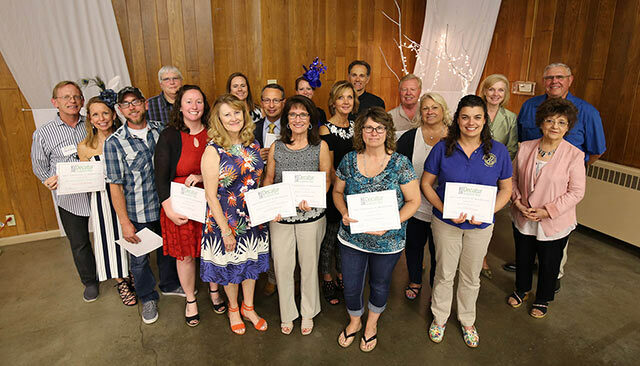 The Best of Show award is determined by collecting votes from the 16 artists with outdoor exhibits that attended the DST 6th Annual Unveiling Festival. 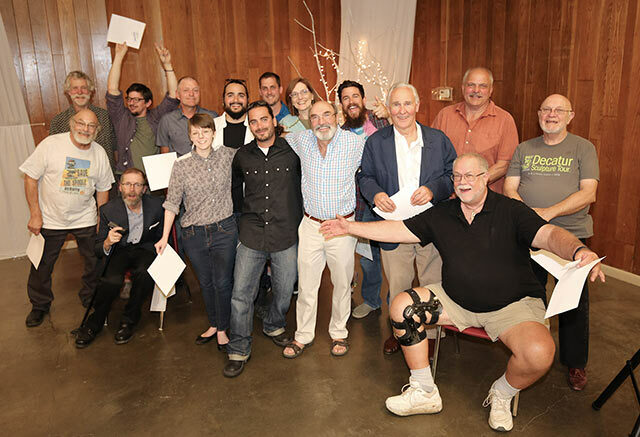 The ‘Best of Show’ recognition is particularly notable as this reflects the decisions of the professional artists who participated and attended the 2017-2018 DST Unveiling Festival. 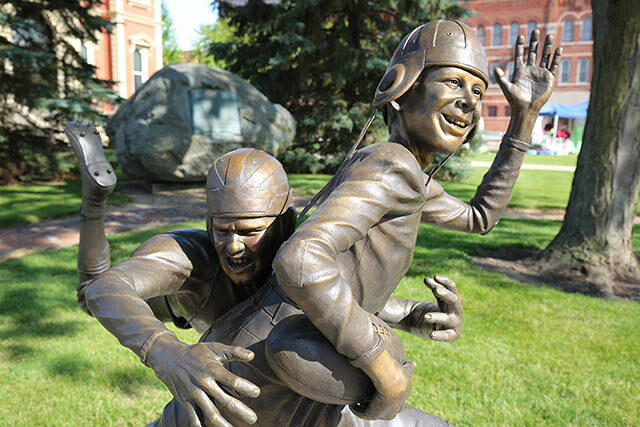 Decatur, Indiana: 2017 tour features 27 sculptures complete with recorded artists’ audio tour. 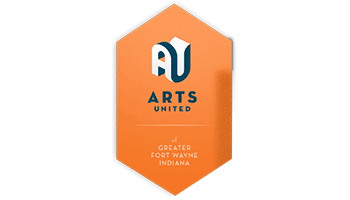 On Friday, June 9, 2017 Decatur Sculpture Tour Committee will be hosting its 6th annual tour with 27 original sculptures created by 25 artists from nine states and the United Kingdom. The sculptures will be on display through April 2018. In addition, a total of 11 sculptures purchased, donated or inspired by the DST are on display in the community. New for the 2017-2018 exhibition, visitors can download a free App on their smartphone and listen to the artists as they tour the sculptures. The service is Otocast and can be found in the App Store. The audio and walking tour maps will be available beginning June 9. The unveiling and other events will be held at the Courthouse Square in Downtown Decatur. The art exhibit is free and parking is plentiful. Decatur is the boyhood home of renowned sculpture artist David Smith who has been widely heralded as the greatest American sculptor of the 20th century. Decatur is also the hometown of preeminent American sculptor Ralph Hurst. Three of Hurst’s works are on permanent display in the community. The installation and unveiling for the 2017 sculptures will be Friday, June 9 during a downtown celebration. The unveiling ceremony includes a guided tour and comments by artists. As a 10-month exhibit, visitors are welcome to return and use the audio tour or brochures listing the sculptures in specially-marked Decatur Sculpture Tour street stands. 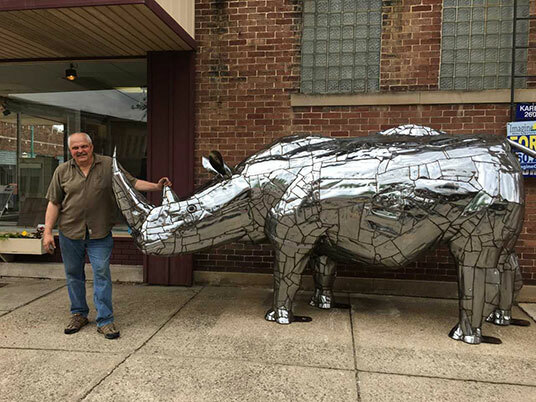 “The notoriety of the Decatur Sculpture Tour has caught the attention of local and national sculpture artists” stated Decatur Mayor Ken Meyer. The 2017 tour was created by 25 artists, 20 of which plan to attend the unveiling events on Friday, June 9. “Our downtown is experiencing a transformation as art-centric activities increase because of the impact the tour has had on the community. We could not be more pleased to host the 6th year of the tour,” added Meyer. The 2017 sculptures will be on display through April, 2018. Tour visitors are asked to vote for their favorite sculpture by Sept. 30 to determine the People’s Choice award, which will be announced in early October. Sculptures are original works for sale but must remain on display through April of 2018. The Decatur Sculpture Tour Committee retains a portion of sale proceeds to help underwrite future sculpture tour efforts and to purchase permanent art for the community. Decatur is located 20 minutes south of Fort Wayne and two hours north of Indianapolis at the crossroads of U.S. 27 and U.S. 224, just minutes from the Indiana—Ohio line. Visitors can enjoy sculptures and stroll through the historic downtown in the shadow of the signature Victorian courthouse built in 1873 and still in use by the county government. Along the tour route, visitors can enjoy the first monument in the United States dedicated to peace that celebrated its 100 anniversary in 2013, and a Mother Mary sculpture installed in commemoration of the 175th anniversary of St. Mary of the Assumption Church. 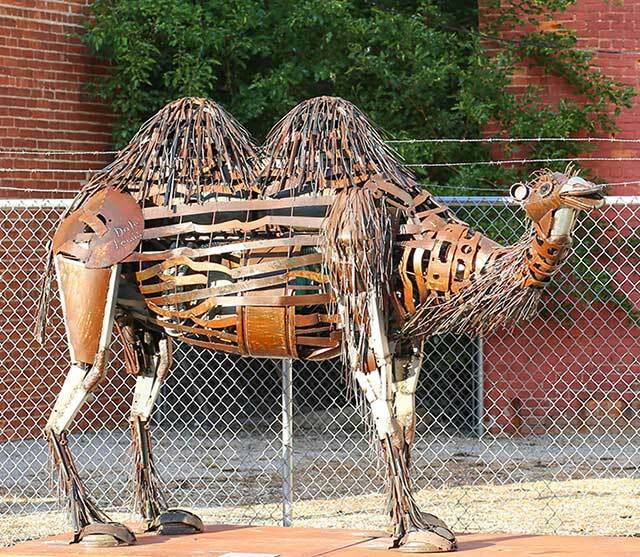 Origin and history of the Decatur Sculpture Tour: During the 2011, artist Greg Mendez was commissioned for two sculptures in Decatur. The first sculpture was "Caduceus" which was commissioned for the new Adams Memorial Hospital as the featured piece in the entrance roundabout. During the Decatur 175 Anniversary and Kekionga Festival, the Adams Public Library hosted a sculpture exhibit by local artist Greg Mendez. Concurrently, the library commissioned Mr. Mendez to create and install the sculpture “It Must Be a Good Book” in front of the library in memory of longtime library volunteer Dianne Linn. Mendez’ sculptures were recognized as a solid example of the positive effects an outside sculpture creates for the community. Mendez and local leaders organized the 2012 Decatur Sculpture Walk to inspire, soothe, provoke, connect and involve the public through art. Eight outdoor and four indoor sculptures were featured in the first year. In 2013, the organization’s name was changed to Decatur Sculpture Tour. 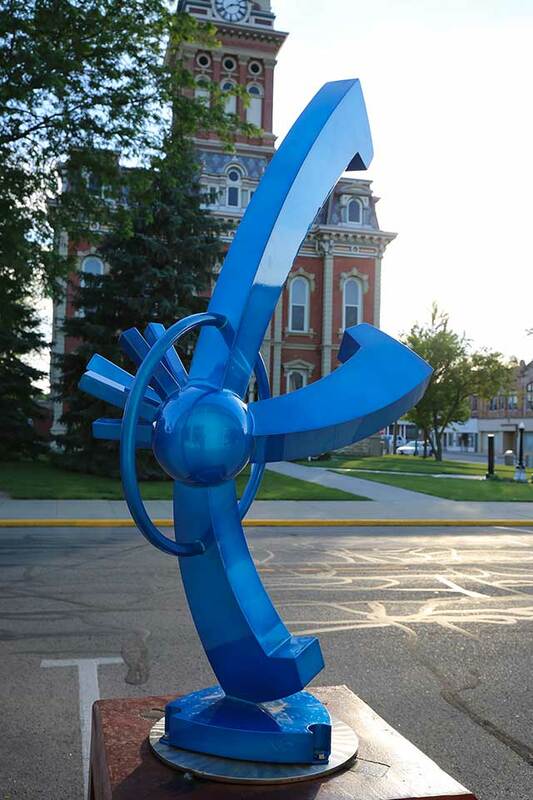 The Decatur Sculpture Tour Committee consists of representatives from the City of Decatur, Adams County Community Foundation, North Adams Arts Council, Adams Public Library, area artists and business and community volunteers.